...Did someone say Free Beach Towel? Sun of a Beach is a brand that embraces the heart of summer and the soul of the sea. 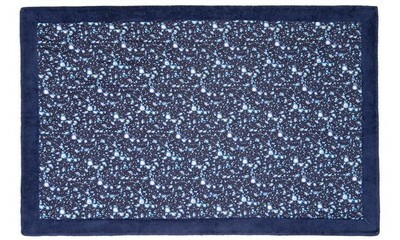 It offers premium beach towels featuring one-of-a-kind prints and high-quality materials. The result is a variety of beach towels for the style-savvy and the comfort-seekers that aim to create beautiful memories of the carefree summer days, and to elicit sweet emotions of sun-kissed happiness. Here at Oliver's Travels we don't leave our villa without it, and that's why when you book in March you get the best towel in the world, FREE with every booking. Terms apply, see below. Important: You will enjoy sunbathing so much in these that you must remember to bring your sunscreen, cause no one likes hanging out with a lobster! The best beach towel out there. Period. Lucky you, you get it for free if you book by the 31st of March! The “Signature” line is their most premium range of beach towels. The towels are double-sided for extra absorbency and softness. They are made out of super-soft Egyptian cotton and the softest cotton poplin fabric in different striking prints. 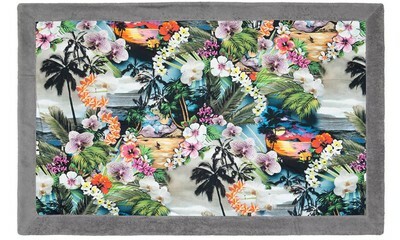 Cool and summery, the "Hawaiian Tropic" beach towel will fabulously complete your tropical beach look! "Stardust" is their tribute to the one and only David Bowie and is ideal for anyone who loves to watch the star-lit sky on hot summer nights. 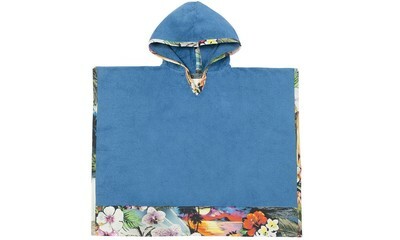 With this beach towel you can be sure you won't go unnoticed. Calling all junior beach explorers! 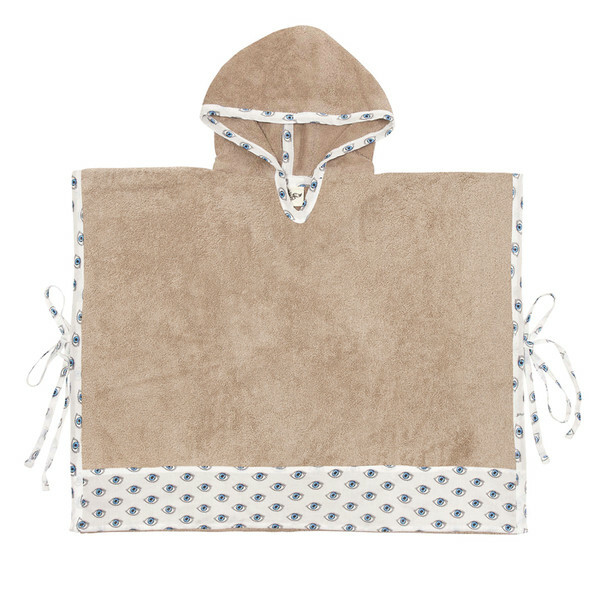 Like all their towels, the ponchos are made of 100% Egyptian cotton towel with a 100% cotton poplin trim, which makes it really fluffy and absorbent. And the hoodie keeps your little ones warm in terms of temperature and cool in terms of style! The "Watch Out" poncho is a great choice for a hippy chic beach look! 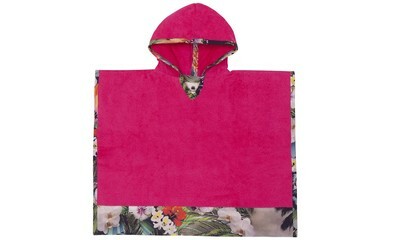 One of their best sellers, the "Hawaiian Tropic Pink" is a fun print for the most stylish kids! Choose the "Hawaiian Tropic Blue" poncho for your next family getaway and match it with your Hawaiian Tropic towel for a super cute mini me look! Offer applies to all bookings made between 1 Feb - 31 March 2018. Offer applies to holidays departing between 1 February and 31 December 2018. You will be able to choose your towel while stock lasts, so there is a chance you don't get the requested design. We will of course endevour to get everyone their chosen one! After you have paid your deposit, you will receive an email asking you to choose the towel you want. We will not be able to send you a towel if you don't select your towel in the provided form - so watch out for this email! It may take up to 6 weeks to get your towel. (But believe us, it will be worth it - because you will be holding the must-have item of the summer). 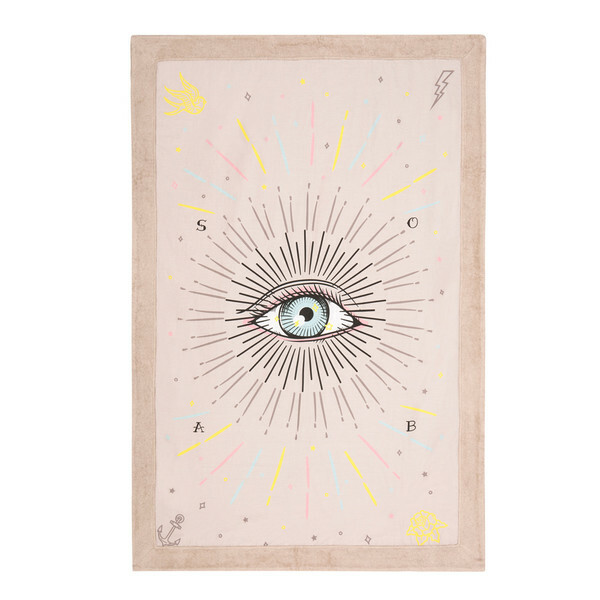 About "Sun of a Beach"
Get 20% off your second towel! Just login to your account to access your exclusive code in our Partner Offers section.